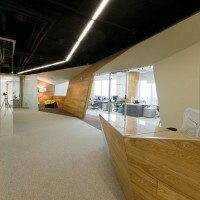 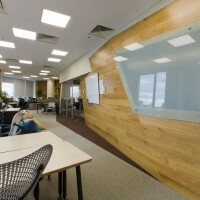 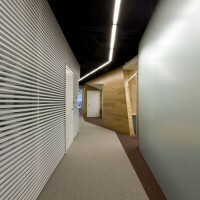 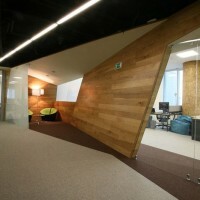 Za Bor Architects have completed an office interior for Yandex, a large internet service provider, in Yekaterinburg, Russia. 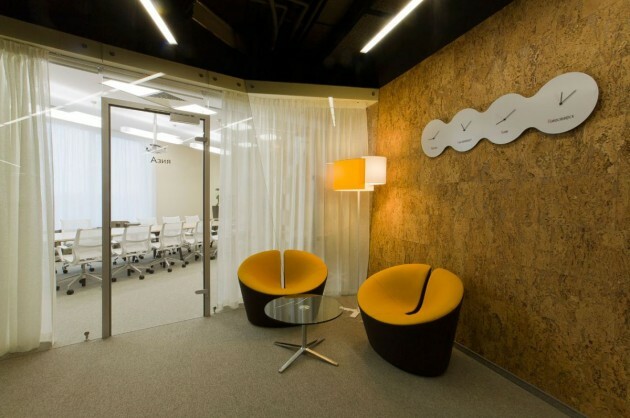 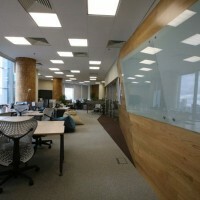 The Yekaterinburg office of ‘Yandex’ Company occupies the fifteenth floor of a new business center ‘Palladium’. 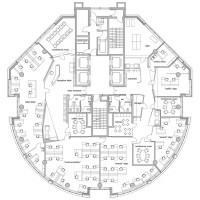 The building is close to circle in section and consequently the office space is concentrated around the lift group and technical premises; in plan view it reminds of a horseshoe. 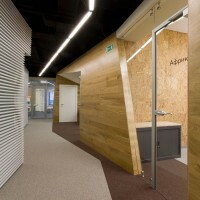 Dynamic volumes and expressive furniture are za bor bureau’s visiting card; they successfully convey the concept of a prompt exponential ‘Yandex’ development, while wood and cork chosen as main facing materials illustrate the company’s humanism. 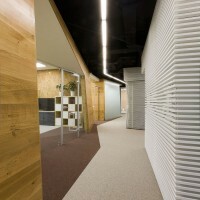 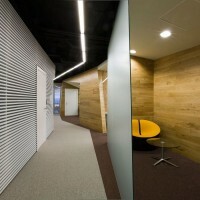 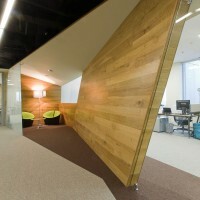 Stack partitions made from thin profile in the corridors, as well as wood used in the working premises, have not just aesthetic, but also a brightly expressed soundproof effect. 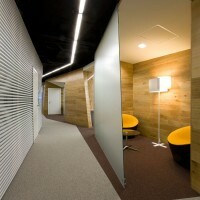 Quite low ceilings (3.60 m) have been visually made higher in the corridor, and the communications there have been painted in deep black colour. 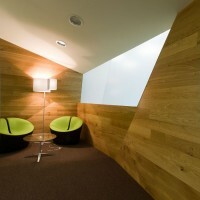 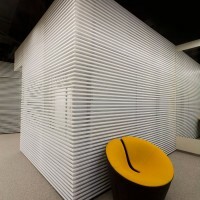 Since ‘Yandex’ offices are known for their informal attitude to working process and since they work round the clock, besides large and small conference halls and traditional general working zones the project provided for a sports hall, a kitchen, coffee points and chamber communication ‘cells’ (or pods) – spaces singled out from the corridor volume with the use of partitions. 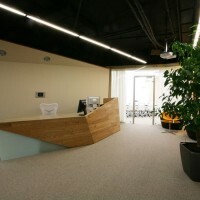 Visit the Za Bor Architects website – here.